Just how far would you go to escape? Would you bury yourself under the floor? Would you board a boat with a rotten bottom? Would you tunnel underground? 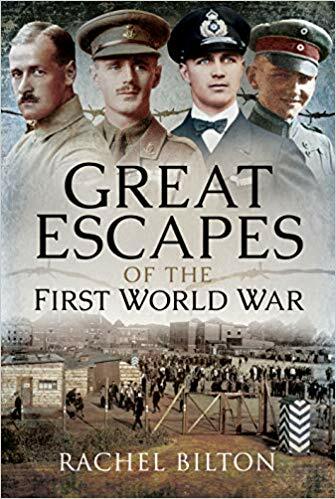 Contained within this book are the daring true stories of fifteen soldiers and their escapes from prison camps during the Great War. What makes these tales special is that they are first-hand accounts, written at the time when the experiences were still fresh in the soldiers' minds. Shocking, moving, exhilarating, humorous, dark. There is not an emotion left unexplored in this selection of accounts, where a group of brave individuals risked all they had to escape and get back to their own country. The adventures span everything from unexpected alliances and remarkable kindness to exceptional ingenuity and considerable danger to foolhardy audacity and, quite frankly, jammy luck. Included in the text are rarely seen images, maps and plans of the escapes, along with biographical information on each soldier about their time during the war. 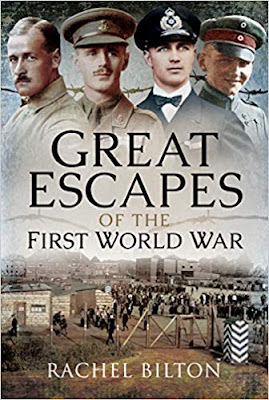 This book pays tribute to the men who, although captured and incarcerated during World War One, still somehow found it in themselves to break out of prison and make their way back to fight again. Their story is a remarkable account of determination, tenacity and will to keep going; a perfect illustration of the extraordinary courage that can overcome us when we are desperate to return home to our loved ones.